Text message marketing is a tool that is commonly used by restaurants across the globe. It is simple, cheap and effective which is why it is gaining more popularity by the day. Fast food restaurants have also begun using this medium to market their products. In a market where businesses are in cutthroat competition, it is crucial that they have such a marketing tool that sets them apart. But how are fast food chains using text message marketing to their benefit? Let’s take a detailed look at the benefits of texting services to fast food restaurants. The primary purpose of a fast food restaurant is to get as many orders as they can. This way they can generate higher profits and expand their business. SMS marketing can be used to increase the number of orders received on a daily basis. Coupons can be offered on a weekly basis or on special days to customers. These coupons will include discounted prices or additional offerings. For example: Buy a large pizza and get a box of salad for free. Text message marketing helps business owners get a variety of different types of customers. The target market can be further divided with the help of messaging services. There are certain customers who only order after midnight while some order for lunch and lastly you get regular customers who may order at any time. With the help of messaging you can create different types of packages for each customer. You can have a midnight deal or introduce a lunch deal and a free delivery option for regular customers. Text message marketing can be used to inform customers about any changes in the menu. You can send out messages informing customers about the new menu items or possibly a change in prices as well. Once you use this method customers will be instantly attracted and will start placing orders. We couldn’t have imagined placing an order via Text a couple of years back but now it is a real possibility. 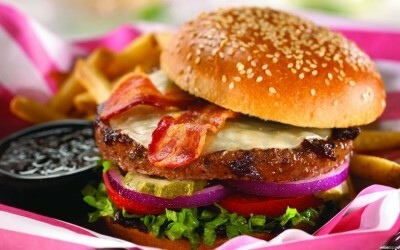 Fast food restaurants offer a special automated option through which you can place your order. Customers can select menu items and then confirm their order by replying with a “yes”. Text message marketing is perhaps the best way for fast food chains to get new customers. The low costs of this method make it even more effective and viable for restaurant owners. Text Message Marketing – Is It Right For Your Business?